Some days, it feels like everyone and everything in this world of ours is bad. But if you need a reason to stop being down on humanity, nature and all of the bad things happening on this terrestrial ball, know that a group of people recently spent hours taking apart a car to rescue a kitten and return it to its mom. Inside Edition reports that a driver in China heard some tiny meows—usually referred to in an excited, high-pitched voice as “mews” by the world’s cat-obsessed population—coming from her Audi one the way home recently. The driver said the mother cat followed her for miles that morning, which, to her, meant she wasn’t just hearing things. 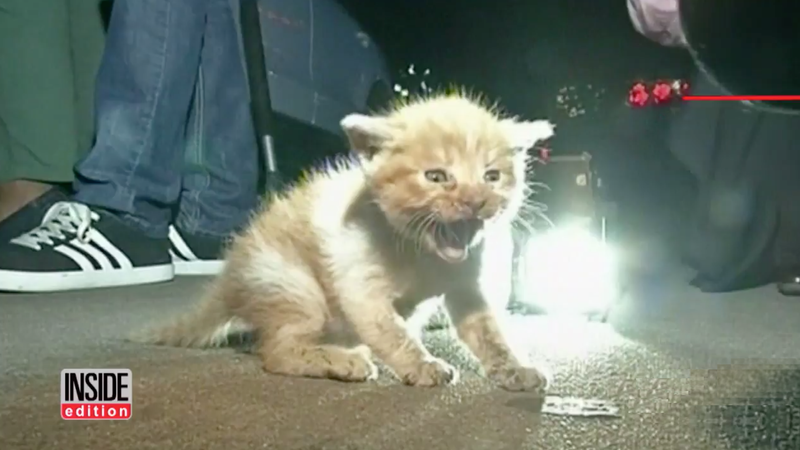 “The mother cat had been waiting for the kitten, refusing to go, which indicated that it was still alive, so we would not give up,” said car technician Zheng Lu, who played a large role in the rescue. Although it was getting dark as the hours passed, nobody left the site. Bystanders called a non-profit organization named Sunshine SOS and a car service provider for help. The professional rescuers jacked up the car and removed its engine protection plate. It was dark outside by the time they freed the kitten, and Inside Edition didn’t say what became of the mother and child afterward. But if there’s anything that should cheer you up about the world in these often dreary times, it’s that there are people out there willing to take hours out of their day to save a tiny life.